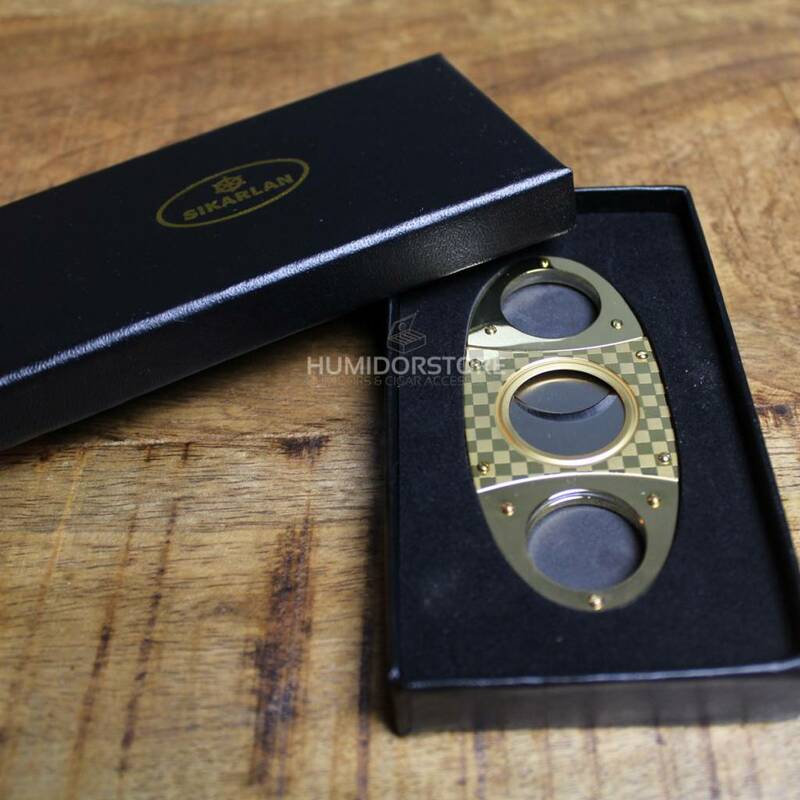 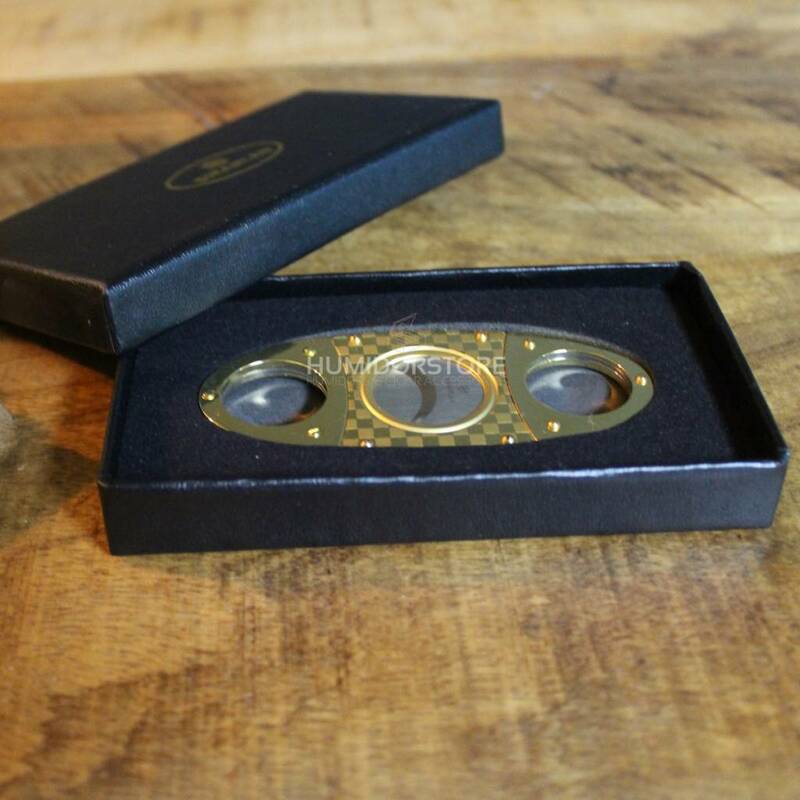 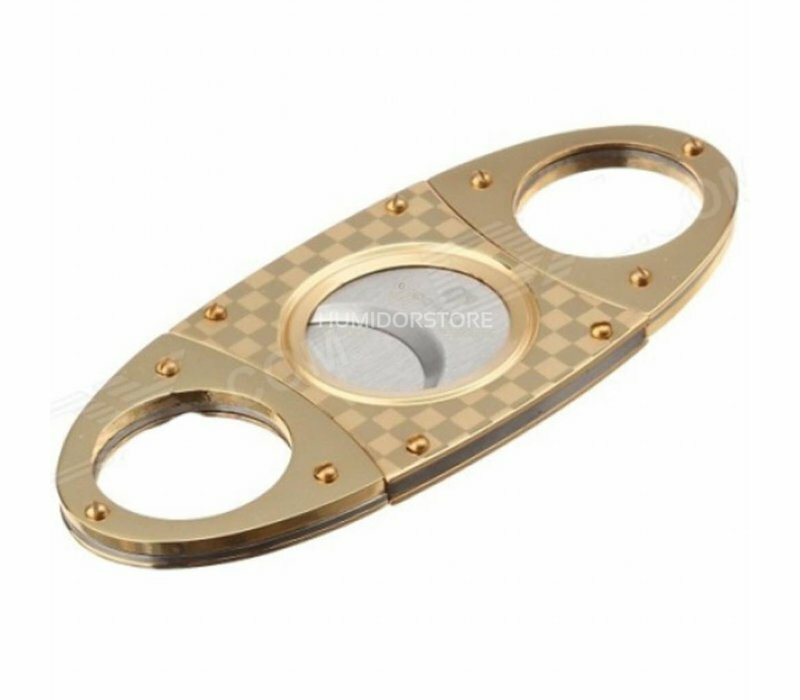 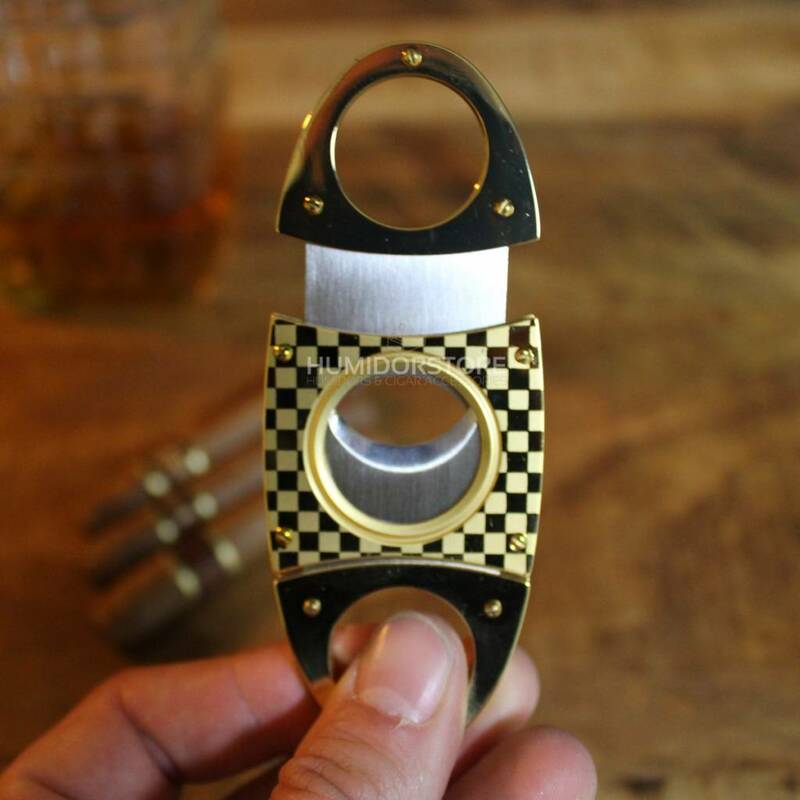 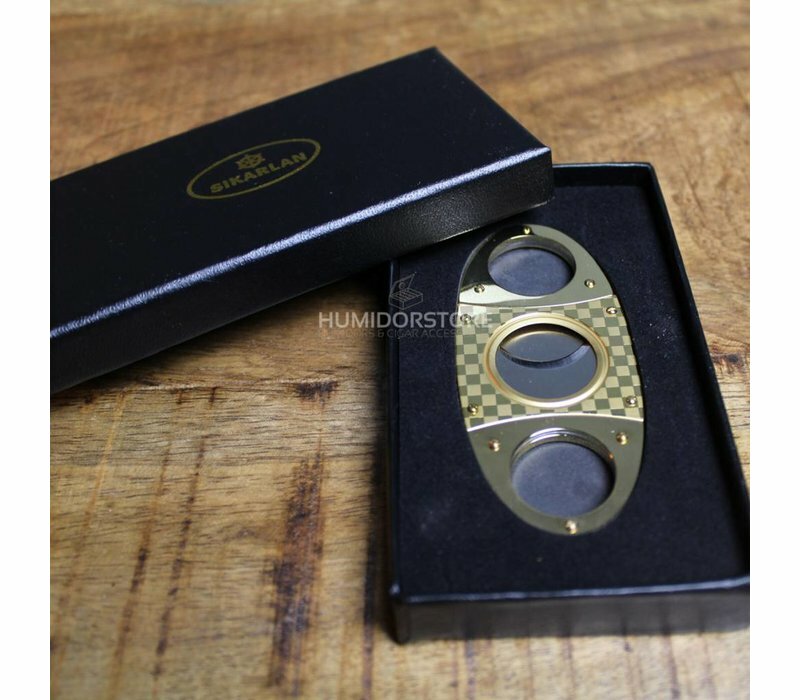 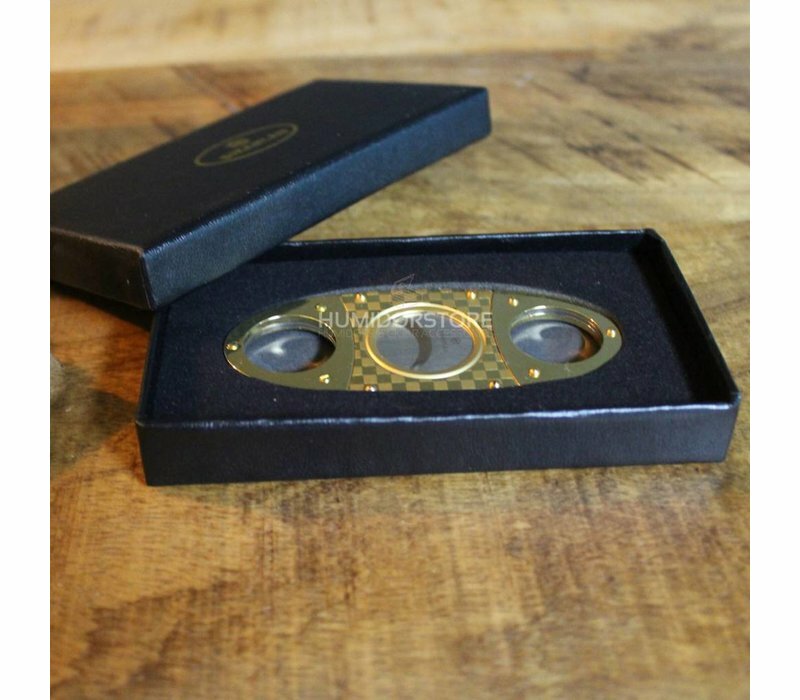 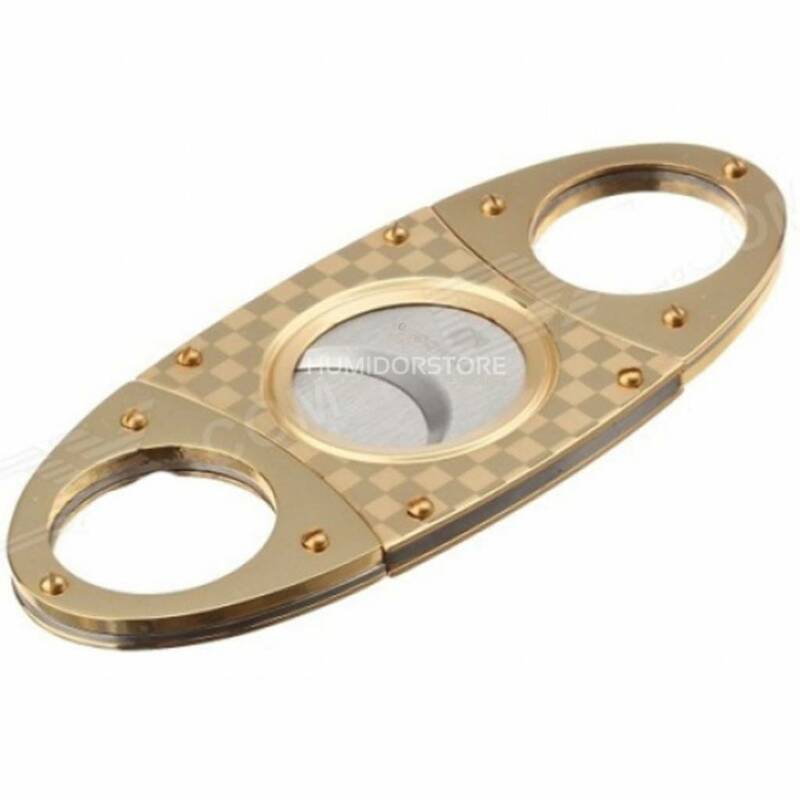 The guillotine cigar cutter Gold is a razor sharp stainless steel cigar scissor with double knives. This is a product is made by Sikarlan. Does the job perfectly excellent cutter! 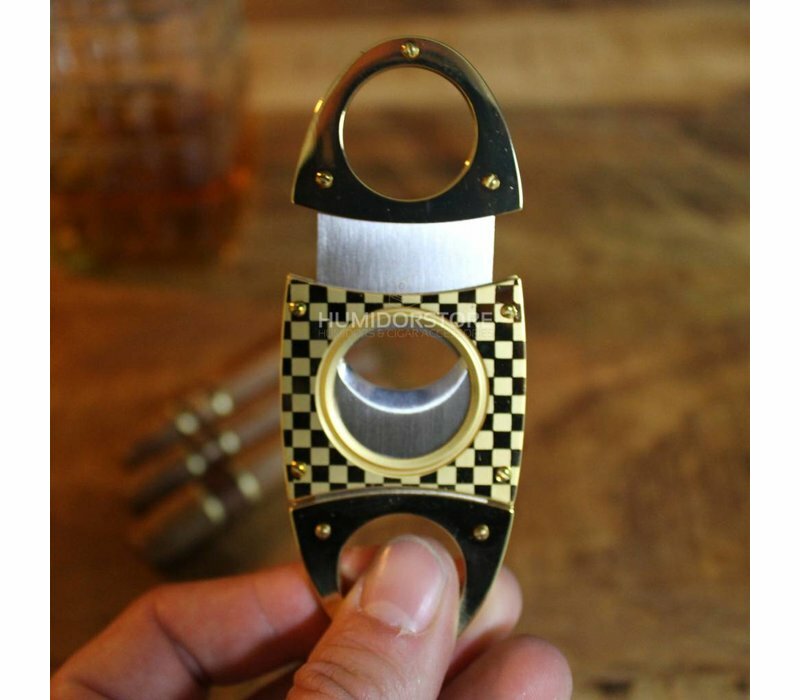 Nice cutter and fast delivery.